Looking at Google for some convincing benefits to make you cycle in this New Year? Cycling is an excellent form of exercise and also a very good means of transportation. Now how this simple thing can make a massive change in our life is the real wonder. We compiled these reasons to why you should start cycling in 2019. If you are using your car to reach the office, well, why not use a bicycle. They are fast, easier to get you through any roads and traffic and also more eco-friendly. The use of a bicycle will also be cheaper with no usage of fuel. In most of the developing countries, citizens are encouraged to ride bicycles for their local transport which can help them in many ways. Be it your kid or you or even your partner, the bicycle is for everyone. Various studies have shown that the people who cycle regularly can prominently reduce the signs of aging. This is not magic but practical science. By cycling, your entire body will start circulating the blood in higher pressure. Thus the supply of oxygen is much more prominent in your body. Thus the skin cells get the proper supply of what they need on a daily basis and can reduce from toxins frequently. This process can help you get the best result to keep the body toxin free and also helps to get the glowing skin too. The benefit of cycling is not only for your upper body but also for the core too. With higher physical activities, the food that is taken in is passed into the large intestine much faster. Thus the water and the fiber makes the stool softer and smoother to pass. Sorry about that. But it’s the truth. Also, the aerobic exercise which is which is what you get through cycling can increase the heart rate which in turn increases the contraction of the intestine too. If you are aiming to get a boost to your brain’s grey matter, then cycling is the only thing that you need to do. The reason behind such a result is the ability to improve and build new brain cells which multiply the capability of the brain functioning. So even after the age of 30, you can have a sharper memory due to the factor of cycling on a regular basis. Cycling helps in putting the entire body in a functioning state which keeps everything in active. Even though we believe in taking an apple every day, just cycling every day can also keep the doctor away. It has been studied and proved that the individual who cycles on a regular basis are much healthier than the ones who don’t. Moreover, they are less prone to get ill and have higher immunity resistance too. Increased body circulations help in improving vascular health too. This particular improvement can help in getting a boost in your sexual life too. It even can delay the menopause in female cyclists for a few more years. So what are you waiting for? If you want to have a happier and longer life start cycling today. Even when women are pregnant, there is nothing better than cycling which helps in multiple ways. It helps in easy delivery with less complication during labor, even faster recovery after giving birth and help in handling the hormonal changes in a new mom. Cycling can be done throughout nine months of your pregnancy, but it is better to take the suggestion of your doctor once before starting it. In any case of a complicated pregnancy, they may not be allowed. Also always be very safe. Cycling is a cardio exercise which naturally increases the heart rate. With the increased rate in heart beat more and more blood is pumped. Thus it gets the heart in a more active state. Just 20 miles a week and you can keep the heart diseases at a distance. You don’t need any other exercise for your heart to be happy if you are a regular cyclist. 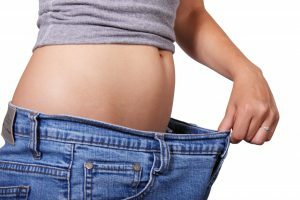 Thinking to lose weight but failing to do so? Start cycling today and do it on a regular basis. It is much a better option than the running for most, as the strain on your joints is way lower. The only thing that puts less strain on you is swimming. But who wants to do 20 laps in a pool when you can cycle through the sun? After a day of cycling, you will sleep like a baby. Cycling makes you tired and also exposes you to a lot of sunlight which helps to get rid of the cortisol or “the stress hormone”. With less stress in your brain, you are will be sleeping in peace. A tight sleep can ensure a healthy body, younger looks, fresh mind, more active brain, and longer life. These were our top 10 reasons for you to start cycling today. With so many health benefits, you will be less ill and won’t need to go to the doctor frequently. So you save the medical expenses. Moreover using cycle for local transportation can also save a lot of bucks too. It also helps to save the maintenance costs of your car/cars which are quite high. The cycle is a one-time investment which can give you long term benefits. Also, the expense of fuel is reduced. Overall it is the best option for you to travel to any place. So if you don’t already have one, get one now. Buy yourself some cycling shoes and get on your bike. We are 100% sure you will enjoy the ride.